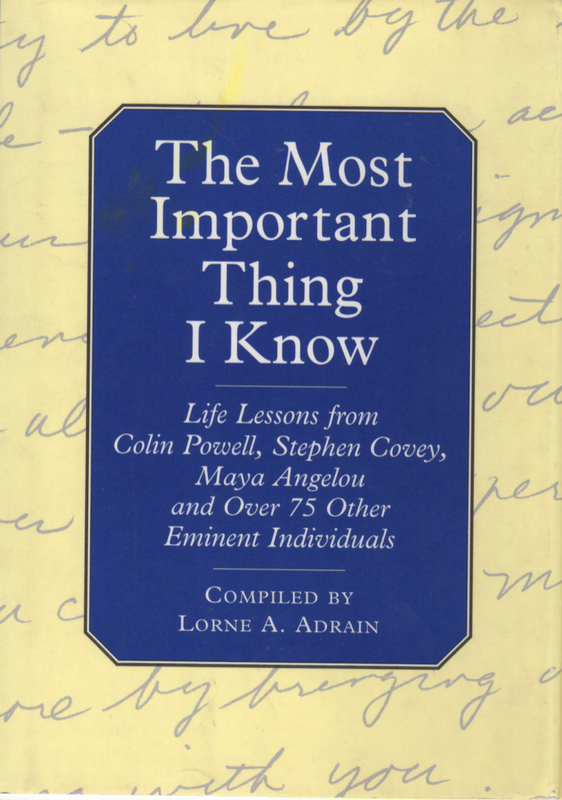 My The Most Important Thing I Know™ book series captures handwritten, inspiring messages from some of the world's most admired people. 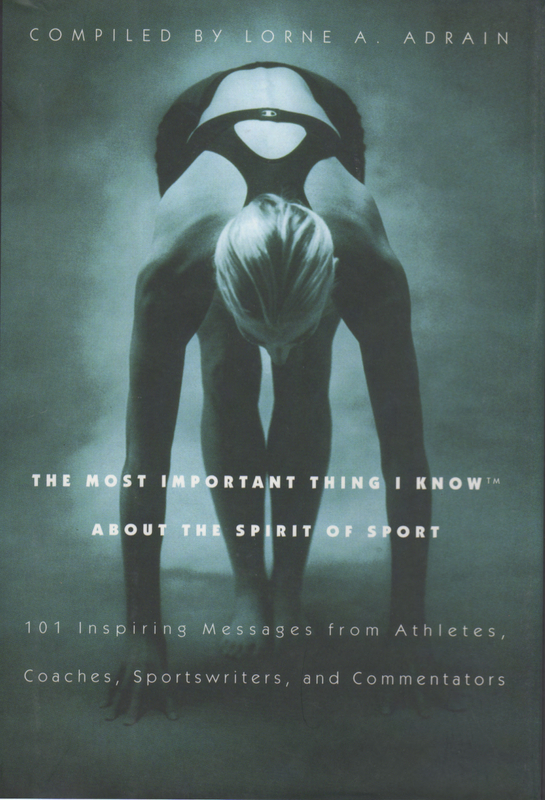 I wrote to each of them and asked that they take a moment to share some personal thought that we might all learn from. All my royalties from the books are donated to charity. It is my hope that the books are helpful in two ways. First, that they inspire each of us to do the things we know to be right and to dream big dreams and make them come alive. Second, that the royalties I contribute to charity will make a positive contribution to the spirit and the lives of as many people as possible - helping them to live more happily and more purposefully. Life is a wonderful opportunity to serve and to care and to pass on the good things we learn. These books are but a small way I can express thanks for the gift of life I have enjoyed. 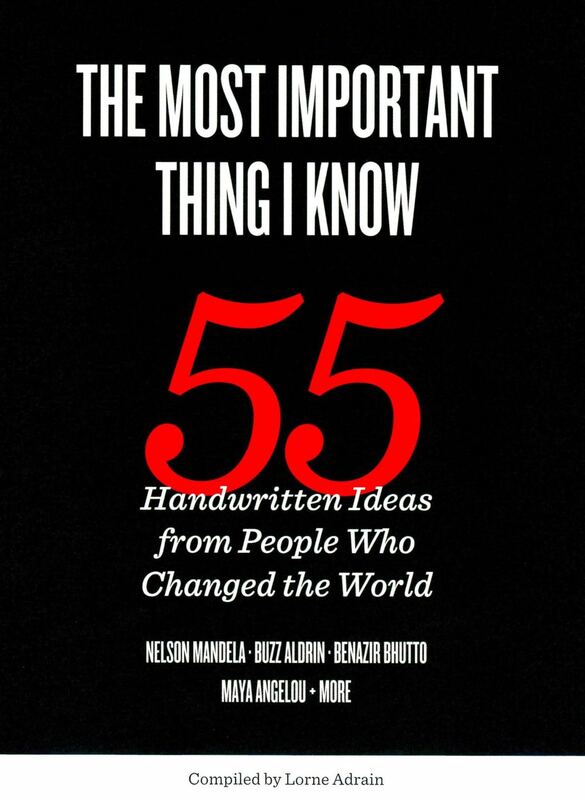 I am indebted to the extraordinary leaders around the world who contributed thoughts and have made the books possible. I sincerely appreciate your interest as well, and I hope you will find these books a source of enjoyment and inspiration. Click on a book for more details and a closer look at some of the messages!